Portrait of Sugimoto's daughter, Madeleine Sumile, as a young girl with white ID tag, "Name Sugimoto, H., No. 24907" fastened to her blue-trimmed dress with a safety pin. 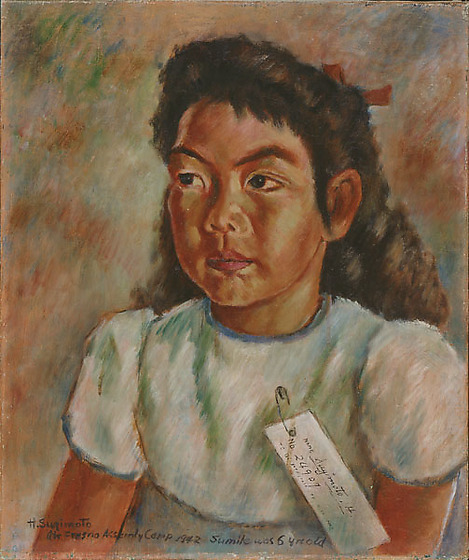 Sumile wears a red bow in her hair and looks off to the left of the viewer. In contrast to documentary words with generalized figures, some of Sugimoto's paintings from this period are skillfully executed likenesses, rich in emotional content.